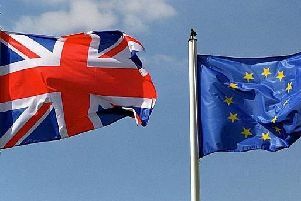 With the EU referendum campaign now under way we can expect some interesting new developments regarding detailed factors that may influence our vote in what will be the most important decision we have made in the past 40 years. Underpinning that decision will be our vision of what we can expect the whole United Kingdom to look like 40 years from now. We are in effect voting for our grandchildren’s futures in many cases, not necessarily our own children or ourselves. For these reasons, I feel all politicians have a duty to openly guide peoples’ views by declaring and justifying their own positions first and foremost. My reasons for this are that the inner workings and procedures of the EU are not that well understood by many of us outside immediate mainstream politics.